An impressive and skillful presentation makes even the mediocre content stand out from the rest. And when the inside materials are equally splendid, a bumper success is not a far-fetched thing. Are you looking for cool themes that will aptly complement your web page? Or are you looking for a refreshing theme to replace the old boring one? Here we present before you some excellent WordPress Themes that suit websites of various niches ranging from Photography, Interior designing to Fashion and Personal blogs. 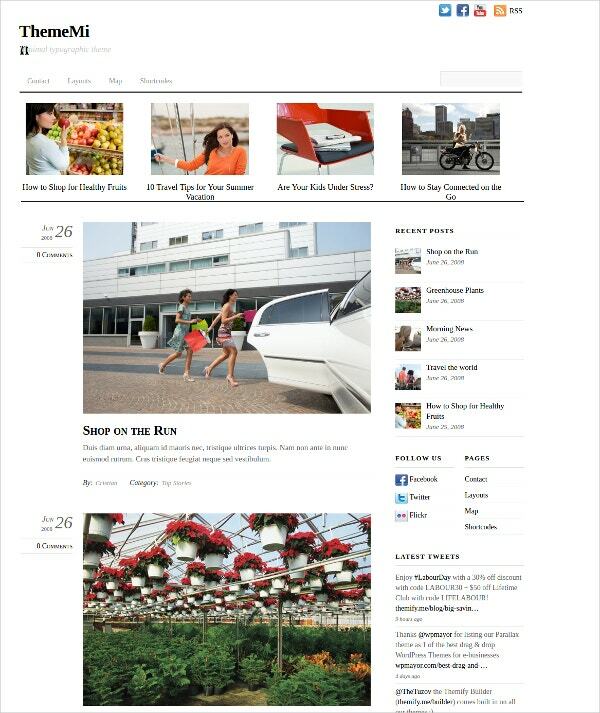 You may also see Fashion WordPress Themes. This simple theme, designed in CSS, serves as an excellent choice for e-Commerce websites. The colors and pixels are blended neatly that imparts a glossy and modern look to this cool theme. It is compatible with all major browsers and works perfectly on mobile platforms too. The embedded audio, video, zooming features make it the most sought after theme nowadays. You may also see Mobile WordPress Themes . A boon for the bloggers in the travel, food and photography genre is already here. This template is designed to accommodate all high definition landscape or portrait pictures perfectly. 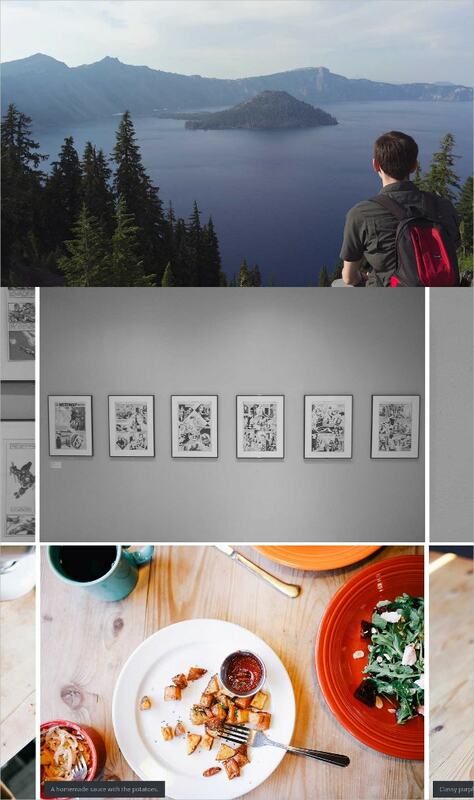 This highly customizable theme lets you create collages as per your preferences. Compatible with all desktops to smartphone screens, it scales down the resolution of the images beautifully without messing up its quality. 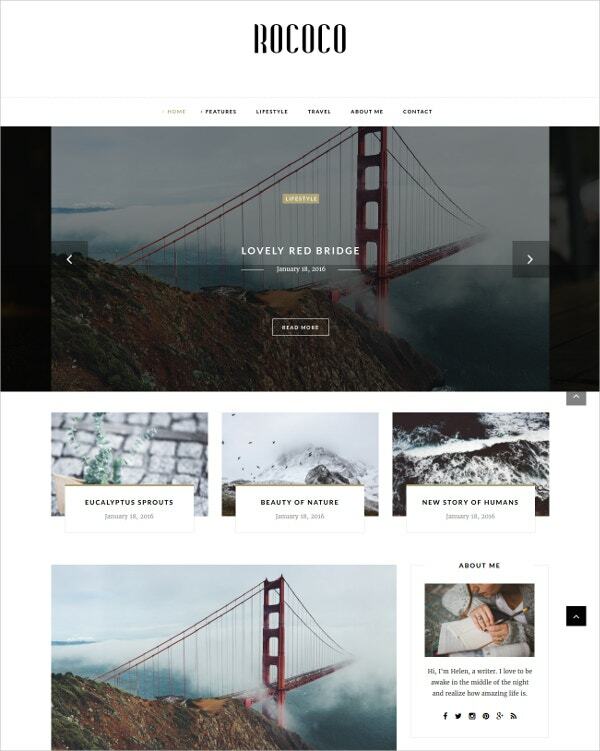 You may also see Photography WordPress Themes. 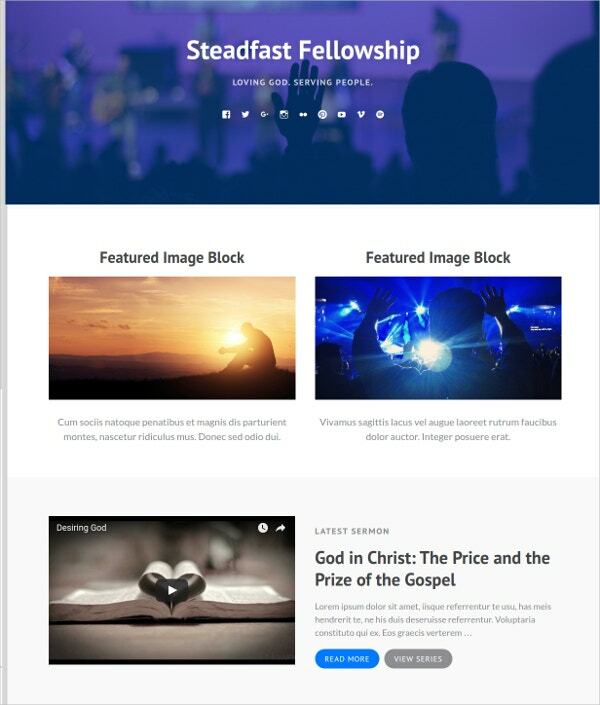 This elegant template is designed with HTML5 and CSS3 code exclusively for churches. Adorned with a social media icon sidebar and a box type layout, this theme loads much faster than other themes in this zone. It is compatible with all modern day browsers and features all latest functionalities including event listings, donations, and sermon management. This is an ideal theme for fashion, food, travel, and craft websites who are looking for excellent yet fast loading pages. Generally, in such websites, pages are loaded with HD images that reduce the responsiveness of the page. This beautiful template is designed in CSS and hides the complexities away from the user and presents the content lucidly. 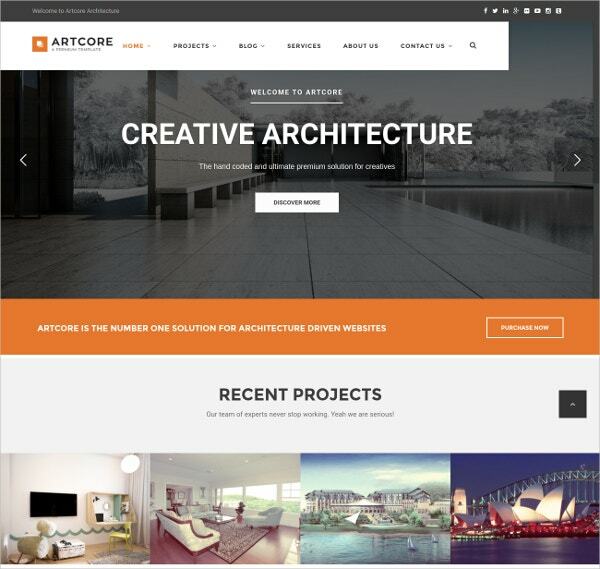 If you are into architecture, buildings, Interior Designing and looking for a cool theme for your WordPress website, there would be no better choice than this theme. It is specially designed for such websites with bold typography and clean layouts. 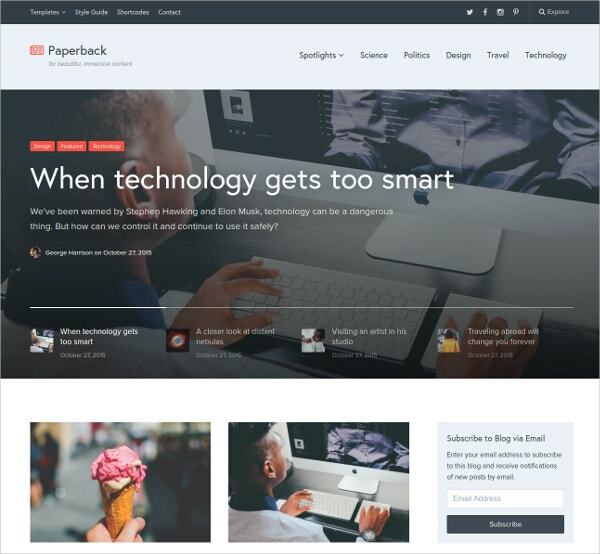 Users can have the joy of designing pages with this simple theme. People often find working with this theme very familiar with the WordPress widgets. 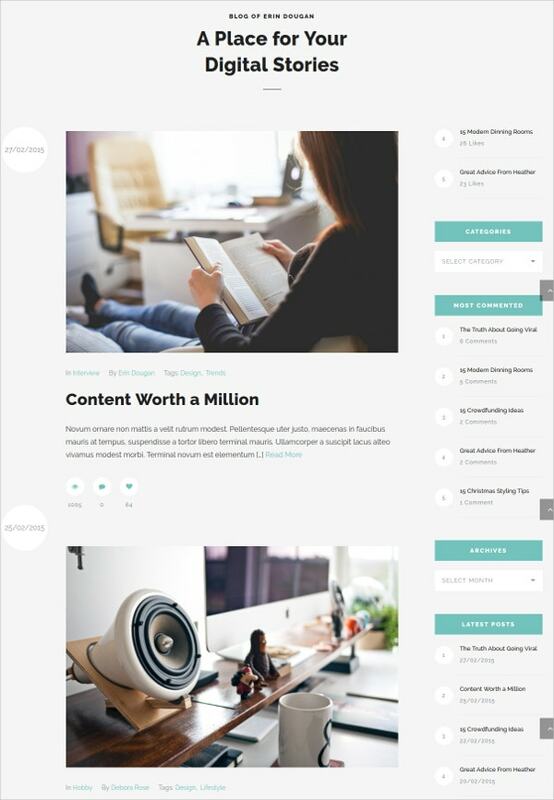 This is a very simply designed WordPress Typography theme that is best suited for bloggers looking for ready-to-use templates for their blogs. It can be used for various kinds of blogs ranging from food, travel to personal ones. The theme comes with 9 blog layouts and 5 blog formats. The 7 custom widgets are a bonus that include social media plugins for Facebook, Instagram and many others. 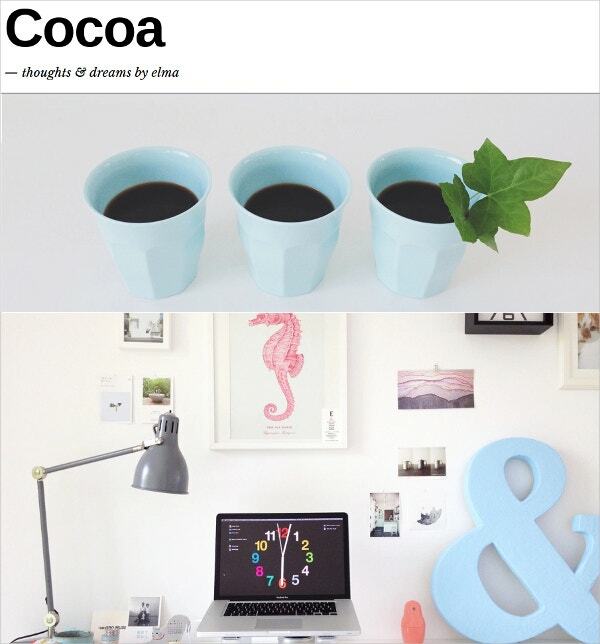 Here is another excellent theme suitable for creative bloggers of any field. This is simple, modern and loaded with all leading features. This template is enriched with functionalities like endless scrolling, Gallery Carousel, Customizable logo and share buttons. But for this theme, Jetpack plugin needs to be installed. The unique advantage of this theme is the better readability it offers. The richness of this theme lies in its minimalist design. This theme is very responsive and packed with modern widgets, multiple layouts, social link sidebar and much more. The customizable font styles and text designs are very helpful for designing web pages for various platforms like mobiles, smartphone, tablets, etc. This is ideal for any kind of websites or blogs. This is one of the most innovative and skillfully designed themes that is best suited for Fashion and Glamour blogs. The modern new slider earns some brownie points for this cutting edge theme. It is designed with XHTML and CSS and is compatible with all browsers and platforms. The screen resolution gracefully adjusts itself to various screen sizes. You can create enticing contents with this classic theme that incorporates a magazine style layout. This simple yet powerful template lets you develop blogs quickly without delving into much complexity. The audio/video embedding is easy and offers an amazing browsing experience. Styled in CSS code, this lets you paint your page with your favorite colors. 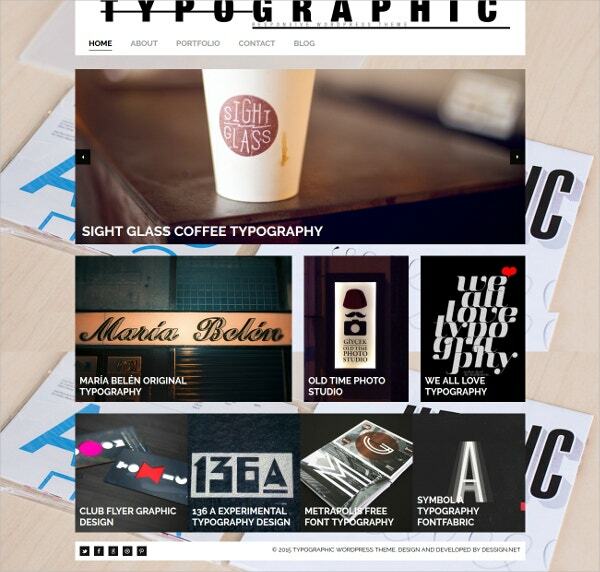 Perfect for personal journal and blog pages, this theme is the first choice of connoisseurs of typography. The alluring white spaces in the layout impart a serene and cool reading experience. The widget area at the header and footer section is an example of excellent design. While it is more preferred for mobile devices, it does not disappoint for larger screen sizes too. 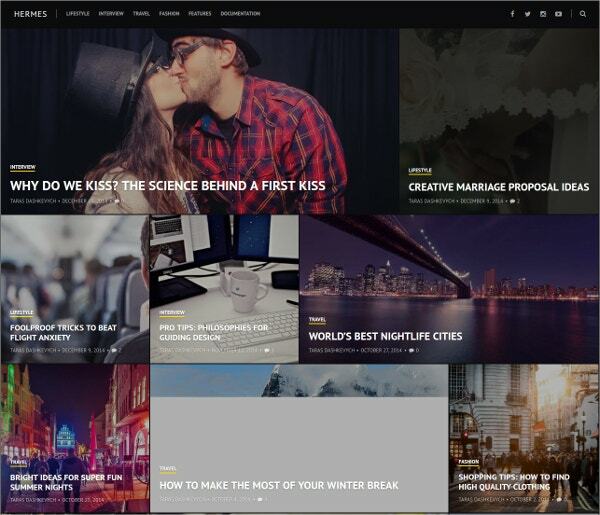 This is one of the most sophisticated WordPress magazine themes. This holds the true essence of typography oriented designs. The theme concentrates more on the font styles and their better readability rather than wasting resources on catchy sidebars and other glossy add-ons. 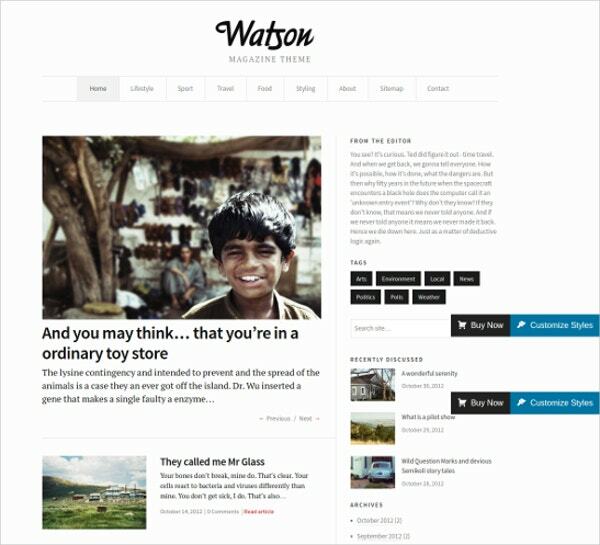 This theme gives a professional touch to blogs and commercial webpages of any field. A great theme never forces you to compromise with your presentation style and graphic quality. It always enhances the quality of what you already have by manifesting colors and pixels in their best form. So choose from the above magnificent Modern WordPress Themes that help you strike gold over the internet.